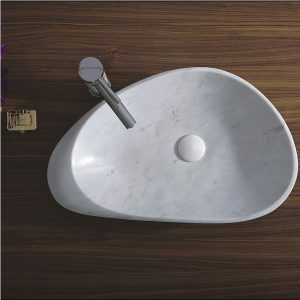 The Eviva Fontana Vessel Sink is made of shiny fined-texture marble. 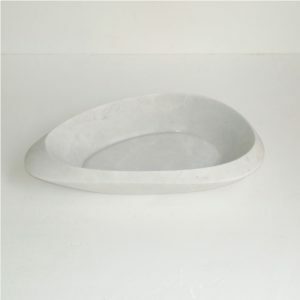 The modern natrual stone sink features a half egg like shape that defies the laws of symmetrical design. This sink can be pointed in any direction when mounted, the faucet could flow into either end of the sink depending on what unique look you are trying to achieve. The Shell is modern art for the bathroom, true to form. 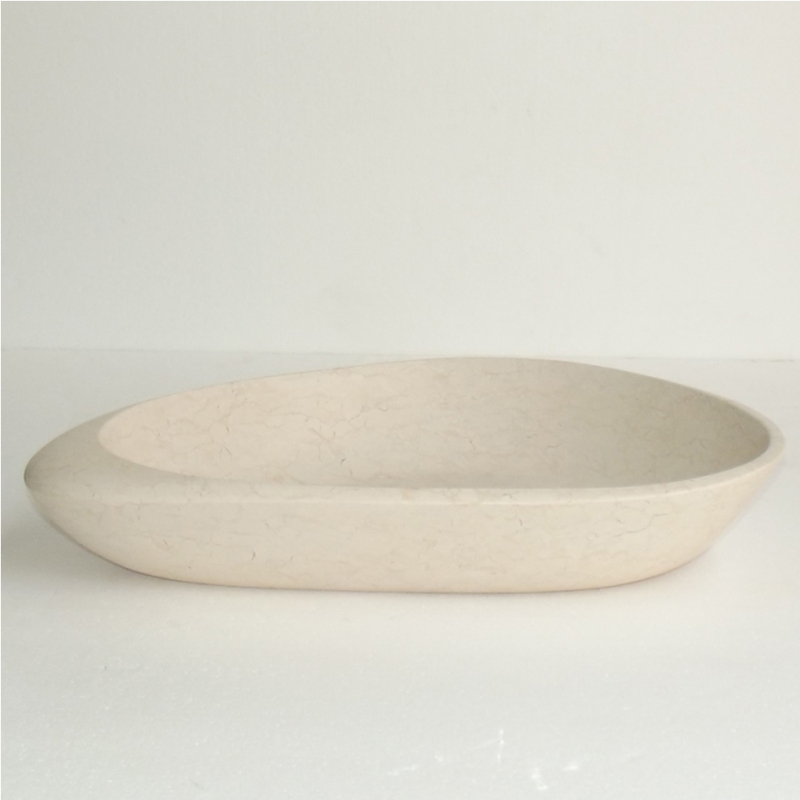 The Egyptian Beige Galala Vessel Sink is the perfect accent piece for a chic bathroom. Boasting a chiseled front, this premium product brings a unique look to your space. Complete your remodel by placing this sink atop a stylish vanity and pairing with a sleek faucet. The Eviva Fontana Vessel Sink is made of shiny fined-texture marble. 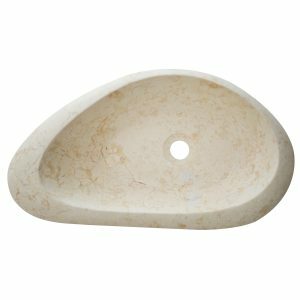 The modern natrual stone sink features a half egg like shape that defies the laws of symmetrical design. This sink can be pointed in any direction when mounted, the faucet could flow into either end of the sink depending on what unique look you are trying to achieve. 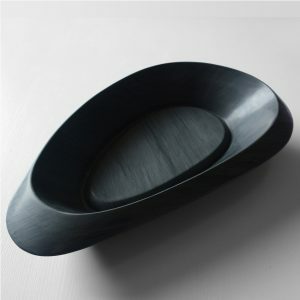 The Shell is modern art for the bathroom, true to form. 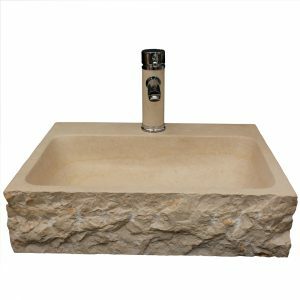 We recommend that you also purchase a drain with your stone sink in the same finish of your faucet. 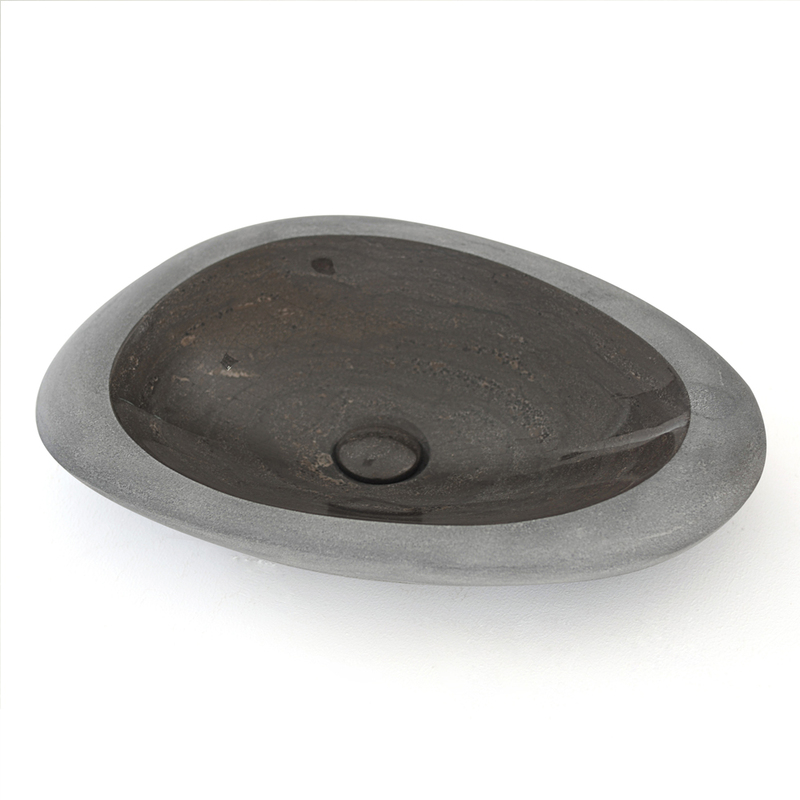 Distinctive in their stark lines and uncomplicated design, these floating sinks are the embodiment of rustic minimalism. The Grail Collection artfully arranges the necessary components, while still maintaining an aesthetic appeal. They reveal perception toward space, surface and volume. 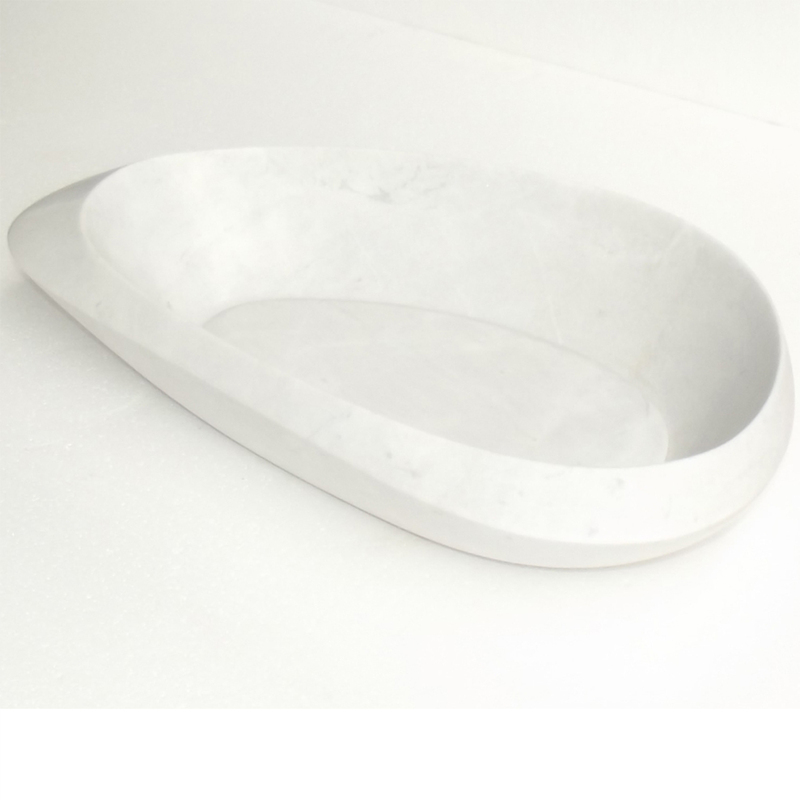 The Grail 23 is a floating wall mounted sink that is made from genuine Egyptian Galala Marble. 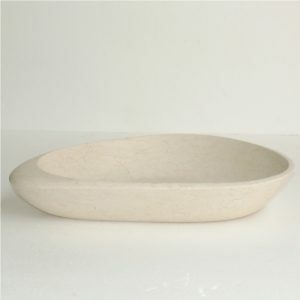 Its creamy beige hue will transform your bathroom into an oasis of elegance and simplicity. 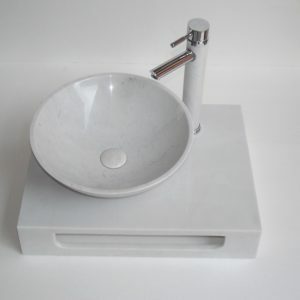 This 23 inch vanity has a vessel sink and a matching marble faucet. Features a compartment on the bottom front of the vanity that acts as a towel bar. 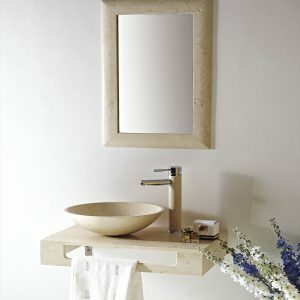 Distinctive in their stark lines and uncomplicated design, these floating sinks are the embodiment of rustic minimalism. The Grail Collection artfully arranges the necessary components, while still maintaining an aesthetic appeal. They reveal perception toward space, surface and volume. 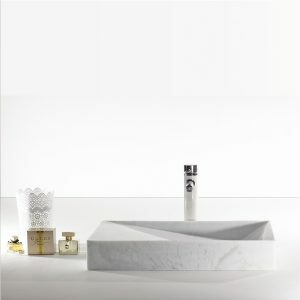 The Grail 23 is a floating wall mounted sink that is made from genuine Egyptian Galala Marble. Its glossy white hue will transform your bathroom into an oasis of elegance and simplicity. 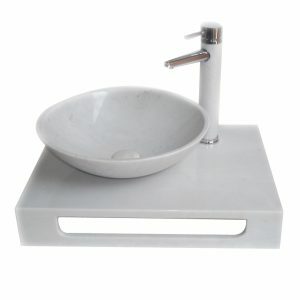 This 23 inch vanity has a vessel sink and a matching marble faucet. Features a compartment on the bottom front of the vanity that acts as a towel bar. 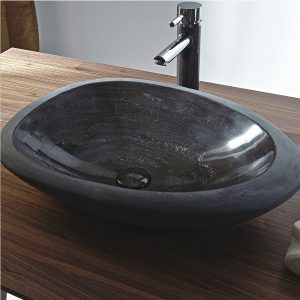 Distinctive in their stark lines and uncomplicated design, these floating sinks are the embodiment of rustic minimalism. The Pasadena artfully arranges the necessary components, while still maintaining an aesthetic appeal. They reveal perception toward space, surface and volume. 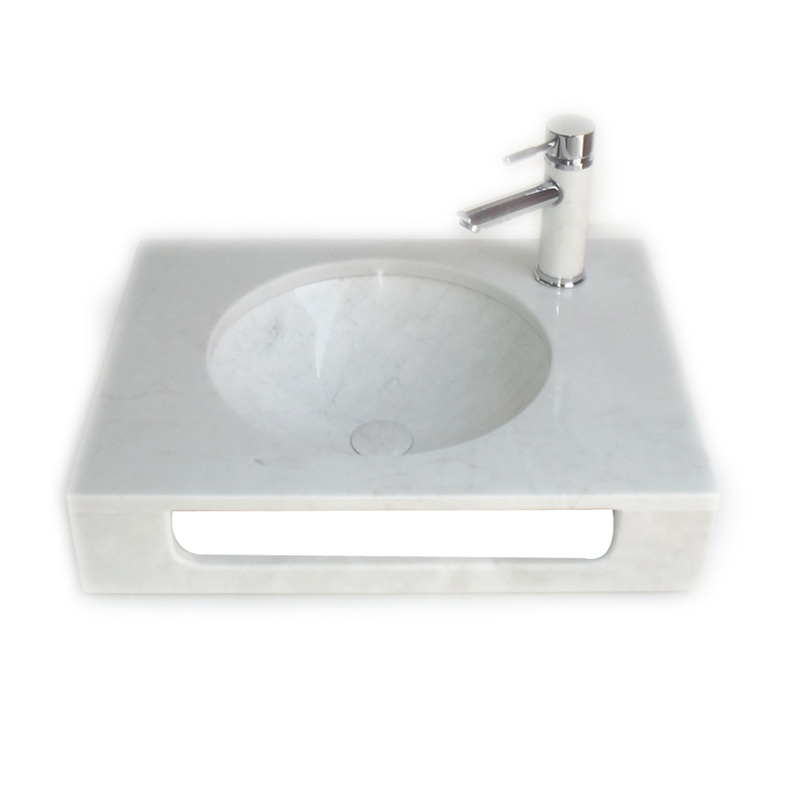 The Pasadena 24 is a floating wall mounted sink that is made from genuine White Carrara Marble. Features a compartment on the bottom front of the vanity that acts as a towel bar. 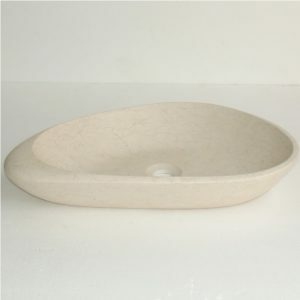 The Oval Marble Vessel Sink with Chiseled Exterior will add a touch of nature in your lavatory area. 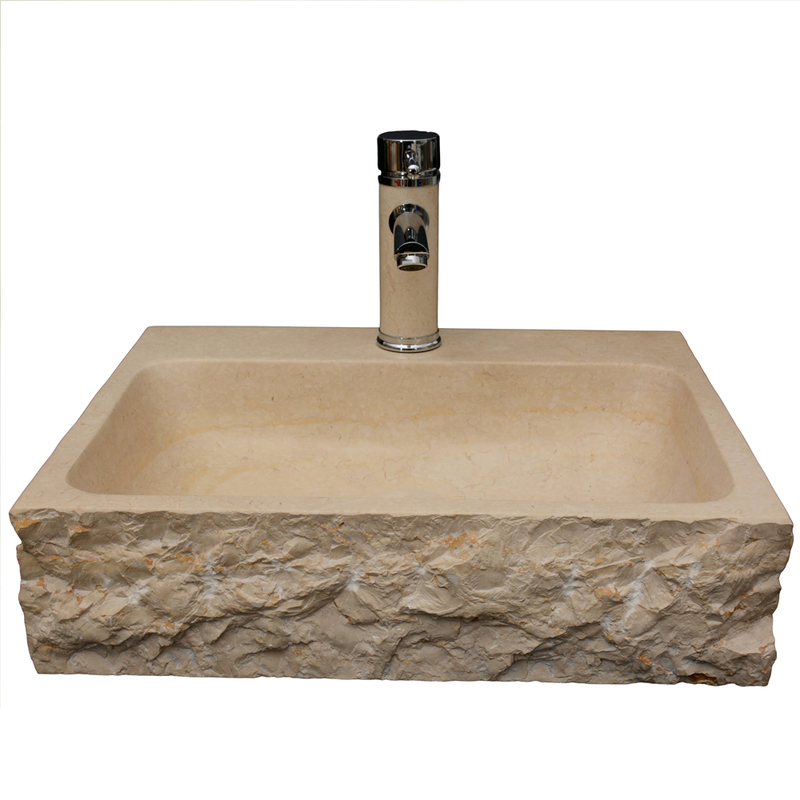 Made of natural, hand carved marble, this sink has a polished interior and chiseled exterior. Pair with your favorite vessel filler faucet or wall-mount faucet for the complete look. Simplify and redefine elegance with the Roca natural stone pedestal sink. 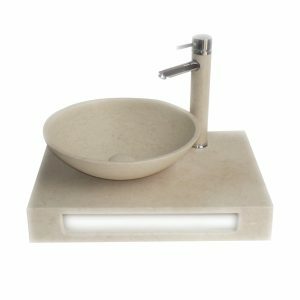 Its chiselled grooves on the column and vessel sink is reminiscent of old world architecture, yet its simplistic design is cheek and modern. 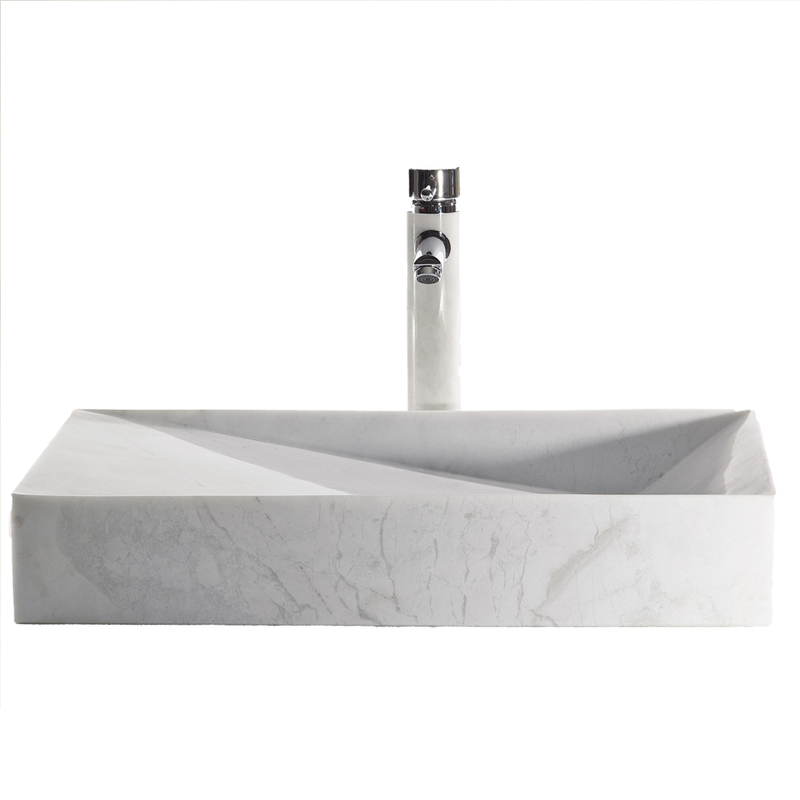 Hand crafted from the natural elements, the Roca will be a timeless masterpiece for your bathroom space. The Roca is a pedestal sink that is made out of genuine chiselled Egyptian Galala Marble.  Its neutral color will perfectly complement almost any color palette. 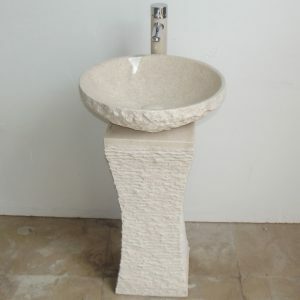 The vanity is 36 inches tall and has a rugged texture on the outer perimeter of the column and vessel sink with a smooth polished countertop. 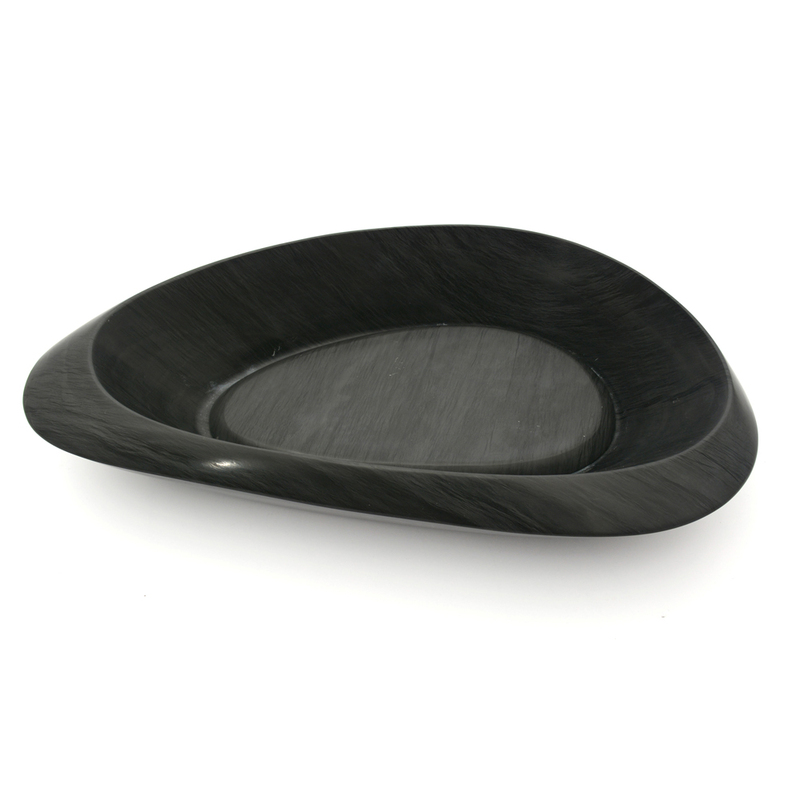 The Eviva Shell Vessel Sink is made of Honed very dark blue marble. 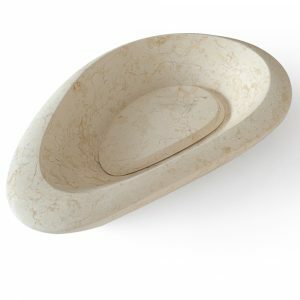 The modern natrual stone sink features a half egg like shape that defies the laws of symmetrical design. 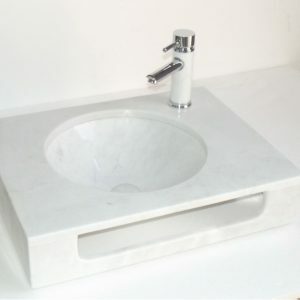 This sink can be pointed in any direction when mounted, the faucet could flow into either end of the sink depending on what unique look you are trying to achieve. The Shell is modern art for the bathroom, true to form. 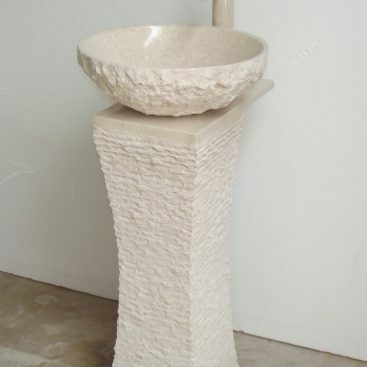 We recommend that you also purchase a drain with your stone sink in the same finish of your faucet. 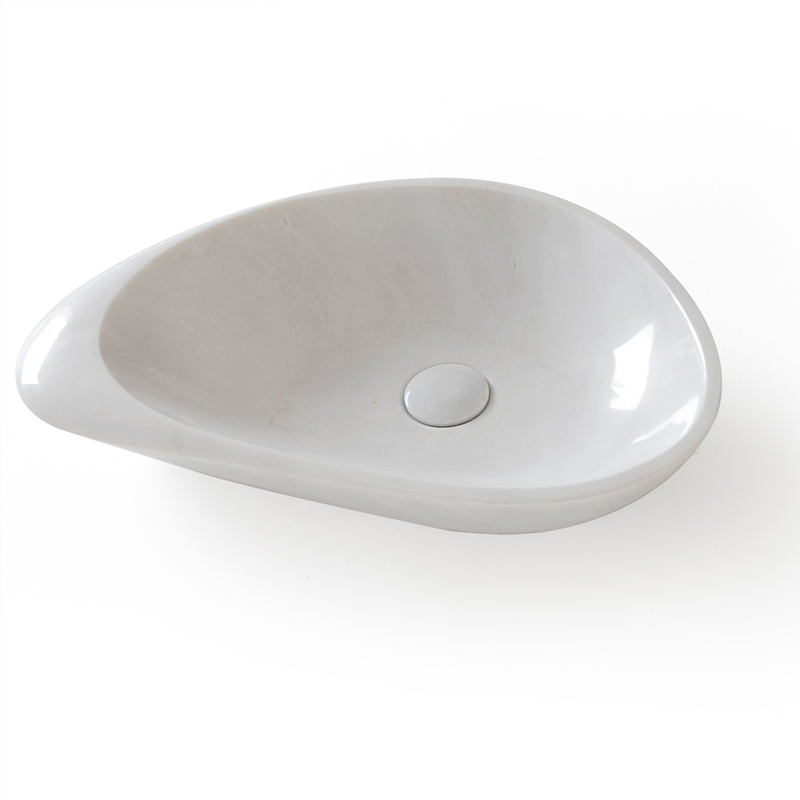 Give your bathroom a bold update with the Stonie line of Vessel Sinks. 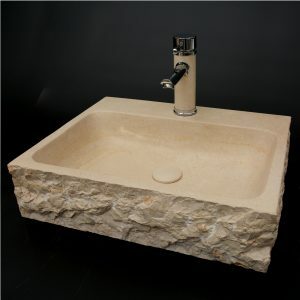 Formed from volcanic rock, this item has all the durable, element-resistant qualities native to natural stone, its chiseled jagged front boosts a dauntless look on this pre-historic piece of art carved from 1 solid piece of natural marble. Pre-drilled hole accommodates a single hole faucet, so opt for one that complements the Stonie's unique style.